Home | Network, Information and Computer Security Lab. NICS Lab is an international leading Security research group led by Javier Lopez, Full Professor of the Computer Science Department at University of Malaga. 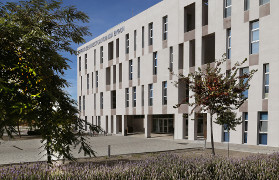 NICS is composed of 20 persons, including faculty members, post-doc researchers, top PhD students, and technical and management staff, all belonging to a major research group GISUM, being distributed on two different locations, the Ada Byron Research Building at the extension of Campus Teatinos and the Computer Science Department at Campus Teatinos. The research activities of the group started back in 1994, when Prof. Lopez published his first research work on electronic mail security in Local Area Networks, followed by others on probabilistic primality tests for public keys, and public-key directories security based on Neural Networks. Since then, NICS members have published over 300 publications, among them more than 60 journal publications with impact factor (ISI-ranked). 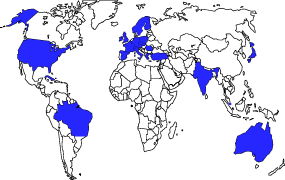 Additionally, NICS members have participated in more than 50 security research projects at international and national level, funded by V, VI and VII European Frameworks Programmes as well as by different Ministries in Spain, Japan, Norway and Singapore. NICS Lab actively participates in international committees and Working Groups in the Security area, as well as in the organization of multiple international conferences and workshops. Moreover, NICS is particularly dynamic in the exchange of researchers with other research institutions, having signed official scientific and technical cooperation agreements in US with NIST (Information Technology Laboratory, Computer Security Division), and in Singapore with I2R (Cryptography & Security Department). 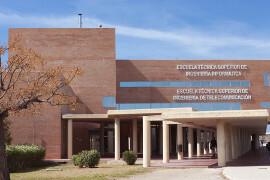 Over the years, NICS members have been especially active in technology transfer to companies like ATOS Origin, HP Labs, Telefonica, France Telecom, Siemens, Indra, Banesto, Orange, Endesa, Sermepa and Telvent, as well as to public entities like the Spanish Ministry of Defense, the Andalusian Government, and RedIRIS (Spanish advanced communications network for academic and R+D Centres).